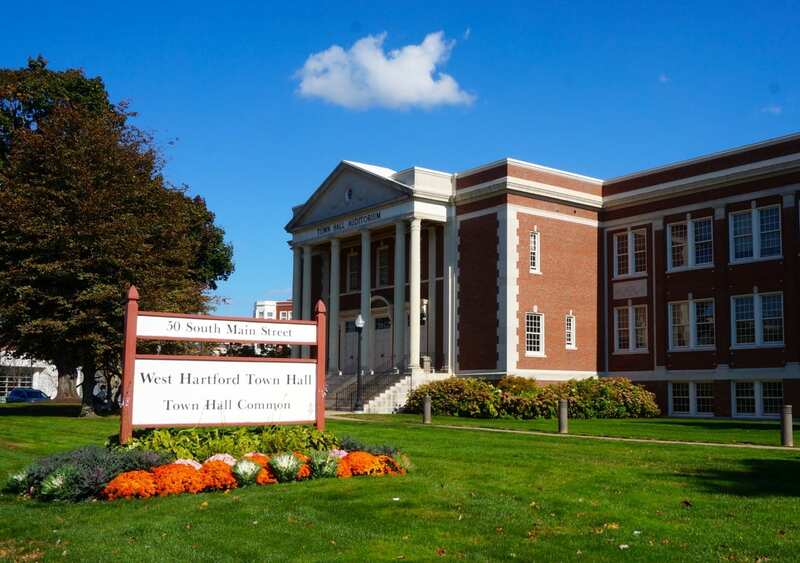 Scouts BSA – formerly known as the Boy Scouts of America – began welcoming girls as of Feb. 1, 2019, and West Hartford’s Troop 163 already has some girls planning to join. A group of five Webelos II – fifth-grade Cub Scouts – sat opposite some older scouts from Troop 163 on Wednesday night, intently listening as they learned about knife and axe safety as they fulfill requirements to earn the Arrow of Light patch and move on to the next level of scouting. It’s a tradition that has been happening for decades, Cub Scouts visiting a troop, becoming familiar with with what the older scouts do before crossing over to the next level in sixth grade. The only thing different about Wednesday night’s meeting is that two of the Cub Scouts were girls. On Feb. 1, 2019, Boy Scouts of America, which serves youth ages 11-17, officially began allowing girls to join as part of a “linked troop,” and at the same time changed the organization’s name to Scouts BSA. Cub Scouts, which are for children from kindergarten through fifth grade, have been allowing girls to join since 2018. West Hartford fifth-graders Olivia O’Donnell and Becca Bomzer both became Cub Scouts in 2018, and are considering joining Troop 163 next year. Olivia, who attends Duffy Elementary School and is the goalie for her travel soccer team, said that she’s been in scouting since kindergarten, and is still a Girl Scout as well. Olivia said she was a little bit nervous at first about being the only girl in Pack 161, but that didn’t last long. 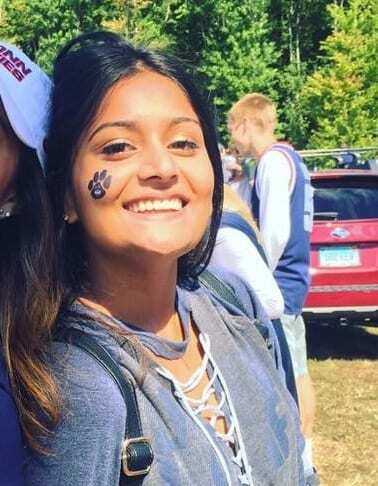 She had fun participating in races and games, and at the first meeting, when they played “sock dodge ball,” she decided she wanted to be part of the group. “That was the day I wanted to be with the [pack],” she said. Some of her friends considered it as well, she said, but they were worried about being the first girl and Olivia thinks she has paved the way. “I have lots of friends like me,” she said, and thinks others will get involved and possibly join Troop 163 with her next fall. 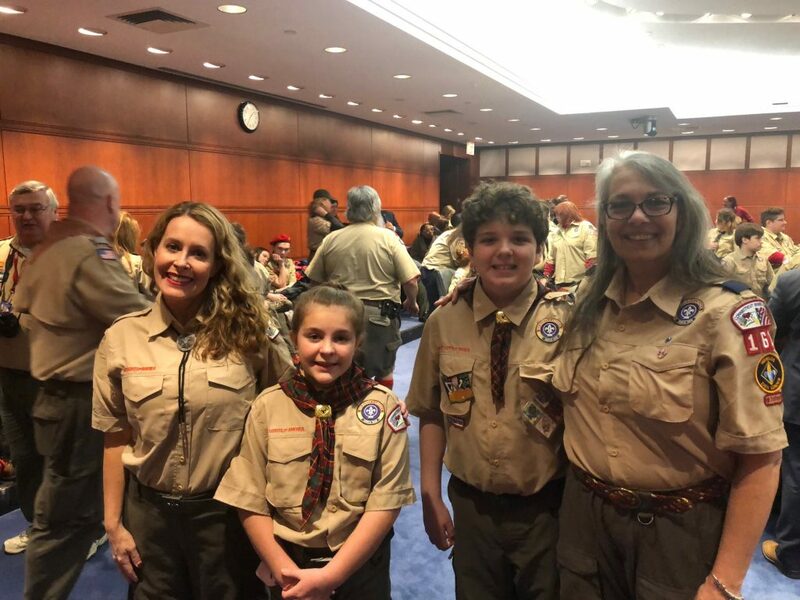 On Feb. 1, the day the transition became official, Olivia and her mom, who is her den leader in Pack 161, attended a special ceremony at the State Capitol. In Cub Scouts, girls and boys are in separate dens, but part of the same pack. Olivia said that in addition to the games and outdoor activities, she likes that in Scouts BSA the kids run many of the troop activities themselves. “It shows leadership,” she said. Becca Bomzer, a fifth-grader at Bugbee School, joined Pack 145 but remained involved in Girl Scouts as well. “I have two brothers and they always did Boy Scouts and I always wanted to do the things they got to do,” Becca said. The Pinewood Derby, and going bowling and hiking, were two examples she mentioned. 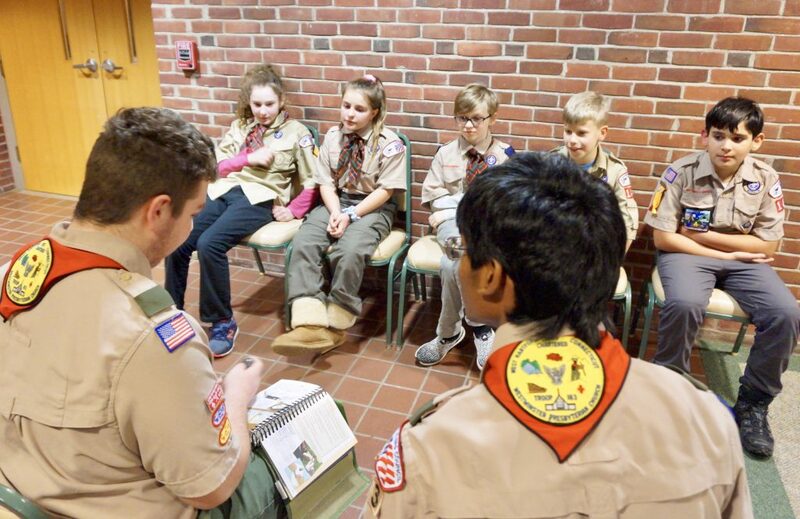 While the Cub Scout packs are tied to the elementary schools, Scouts BSA troops are open to anyone in West Hartford, and the town has several different troops. Webelos II, who are ready to earn the Arrow of Light and cross over, typically spend time visiting the troops before deciding what to do the following year. While girls are being welcomed into Scouts BSA, it’s through “linked troops,” and can be chartered by the same organization, there is still some separation between the sexes, Stimson said. The “Scouts BSA Troop 163 for Girls” will be linked with Scouts BSA Troop 163. 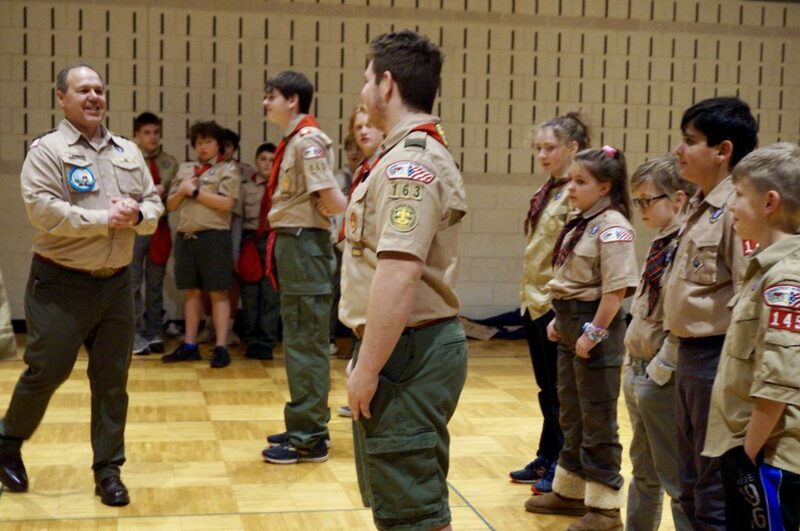 While they will do many activities together, the new organization mandates a separate scoutmaster for the girls, and Pam Reardon, who has been a den leader with Pack 161 at Duffy for the past four years, will take on that role. “Our intent is to do as much together as possible. Pam has been very involved all along and her son has been in [Troop 163] for the past four years,” said Stimson. Reardon said that some activities will be separate, like perhaps separate camping trips. “But we will share merit badge classes,” she said. 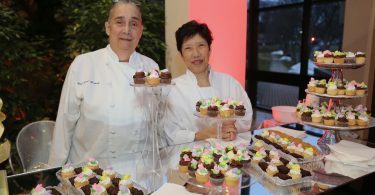 “It opens up the program to young women,” said Stimson. “And it lets them work toward the rank of Eagle Scout. Bart Kollen, the den leader for Webelos II in Pack 145 at Bugbee, grew up in the Netherlands, where their version of scouting was always co-ed. “I always liked it because it took the edge off,” he said. While there might be some adjustment as Scouts BSA becomes co-ed, he’s very much in favor of it. “I’m super supportive,” he said. 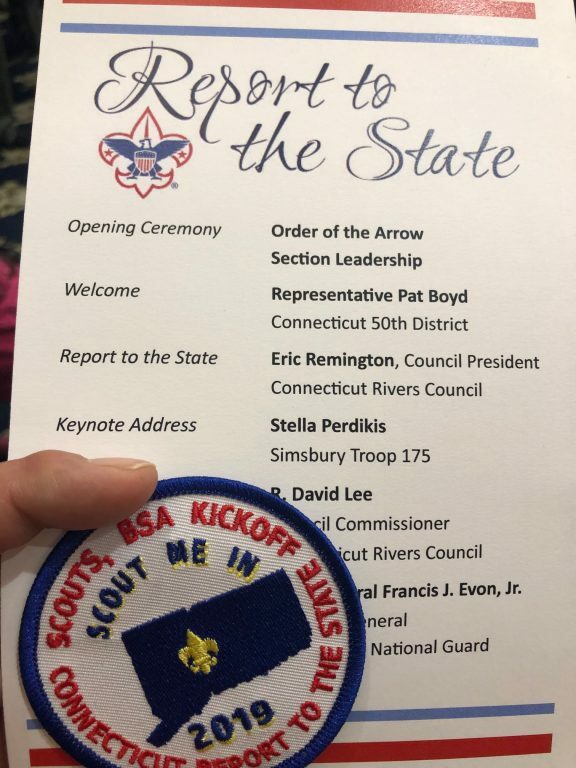 District Director John Babbage, who is employed by Scouts BSA, said that girls have actually been involved with the organization for decades, through “Venturing,” a co-ed group for ages 14-20. Having the linked troops at the middle and high school level will be a bit different to organize, he said, but he believes the experience will be positive for all. A key difference between Scouts BSA and Girl Scouts is that the scouts lead the troop meetings and activities, Stimson said. “The scouts are in charge and the adults act as mentors,” he said. 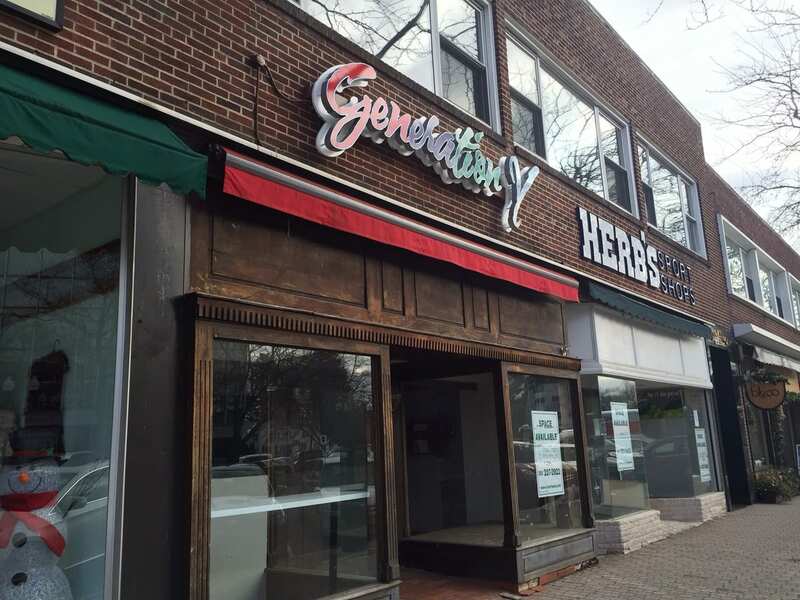 “We’re not trying to compete with the Girl Scouts,” Stimson said. The programs are different, and opening up Scouts BSA to girls provides additional options, including the opportunity to earn the rank of Eagle Scout. Five or six members of Troop 163 are working toward Eagle, Stimson said, and other troop members work alongside them on their projects. 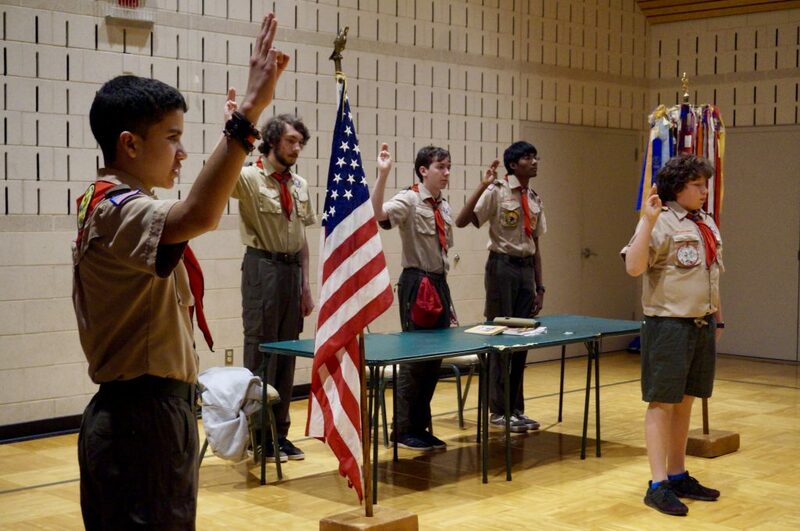 Scouts BSA focuses on physical, moral, and citizenship development. “We use the outdoor classroom. 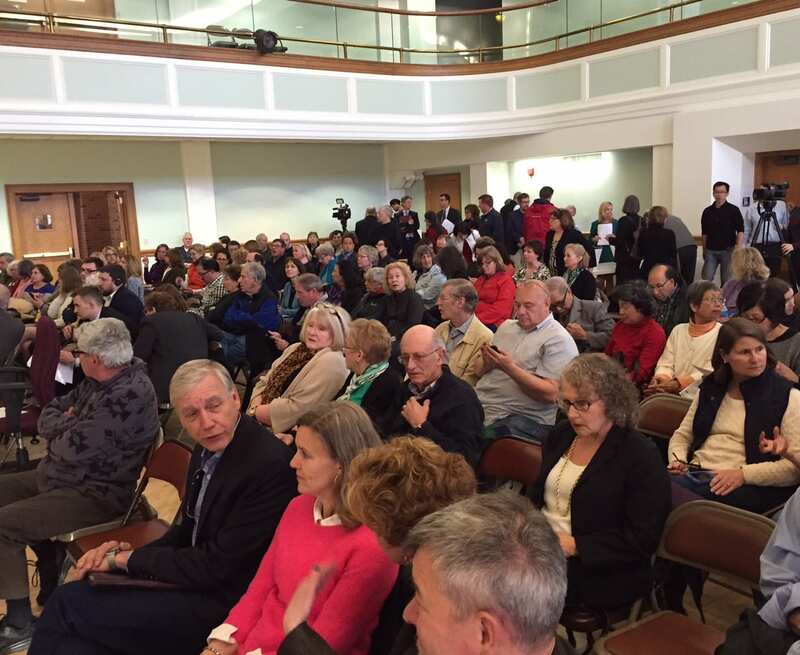 It’s integral to what we do,” Stimson said. Past scouting experience is not required to join Troop 163, Stimson said. “Our door is always open,” added Reardon. Click here to visit the Troop 163 website.